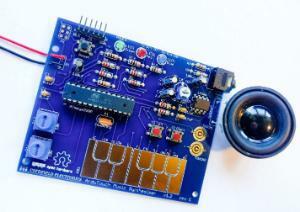 Solder this kit, and you have made a musical instrument! Make beautiful music, sound, or noise! Learn how to solder. This kit is designed for anyone to learn to solder and learn how to make cool things with electronics. Ordering information: Requires USB cable.